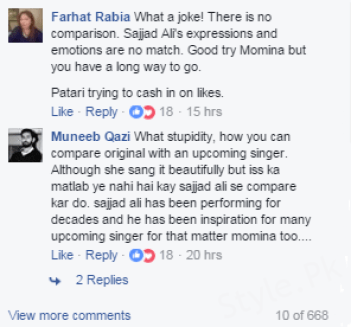 Momina is new coming singer and she got tremendous popularity. She became the new impression of the young and old music lovers with the singing of the song, ‘Afreen Afreen’ and she has lost her cool and the local music streaming platform when Patari compared her version to the song, Har Zulm of Sajjad Ali. 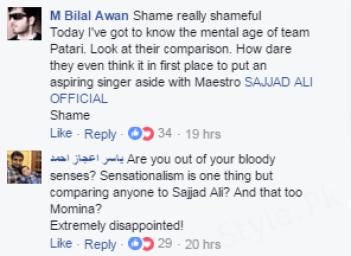 Momina said that Sajjad Ali is the legend and he is also matchless, when we talk about the music. The sensation said that she sang the song as the attempt made to pay the rich tribute to him as she has the utmost respect for him. 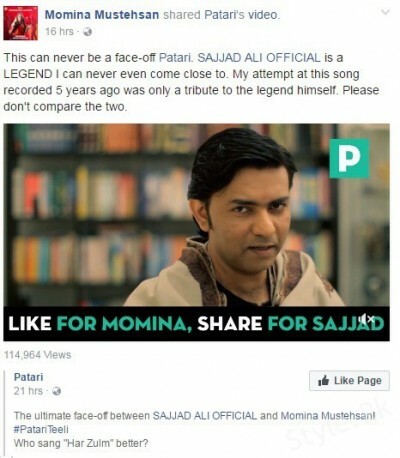 Watch the SAJAD ALI & MOMINA MUSTEHSAN’S face off video made by PATARI here! NEXTYou should Follow Pakistani Supermodels on Snapchat!